An Enterprise named as Lamka Infratech Pvt. Ltd. with focused vision towards development of high tech Commercial Projects like (Mall, Modern Offices, Business Hotels), Luxurious residential Solutions, High Rise Apartments with lush green open spaces,Housing Societies,Farm Houses,Bungalows,Villas etc. Lamka Infratech has strategies in place to establish their reputation and names in quality by delivering state of art, innovative projects in time. We ensure that all the projects developed by Lamka Infratech will be full of innovative ideas, equipped with modern technologies and vaastu compliant. We are working towards earning reputation by delivering a landmark by developing a quality infrastructure at all projects. Our prime motto is to develop projects with excellent growth in value which can give our buyers/investors the twin advantages of proud address and a meticulous investment. Expert Reviews By Lamka Infratech Pvt. Ltd.
Company: Lamka Infratech Pvt. Ltd. 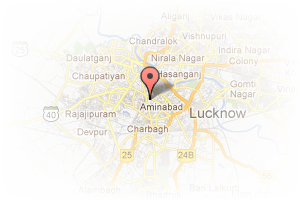 Address: Halwasia., Hazratganj, Lucknow, Uttar Pradesh, India. PropertyWala.com » Lucknow Real Estate » Lucknow Builders / Developers » Lamka Infratech Pvt. Ltd. 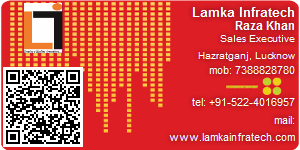 This Builder Profile page for "Lamka Infratech Pvt. Ltd." has been created by PropertyWala.com. "Lamka Infratech Pvt. Ltd." is not endorsed by or affiliated with PropertyWala.com. For questions regarding Builder Profiles on PropertyWala.com please contact us.